I am currently taking nutrition courses at a college. Currently, we are going over what nutrition is, what our body needs for survival and how different foods (calorie dense vs. nutrient dense) affect our body weight. What are your thoughts on Intermittent Fasting? Would the body still get adequate nutrition if you are eating a balanced diet during that 6-8 hour window? Would this diet be beneficial to someone who is insulin resistant? Thank you for your time in advance! 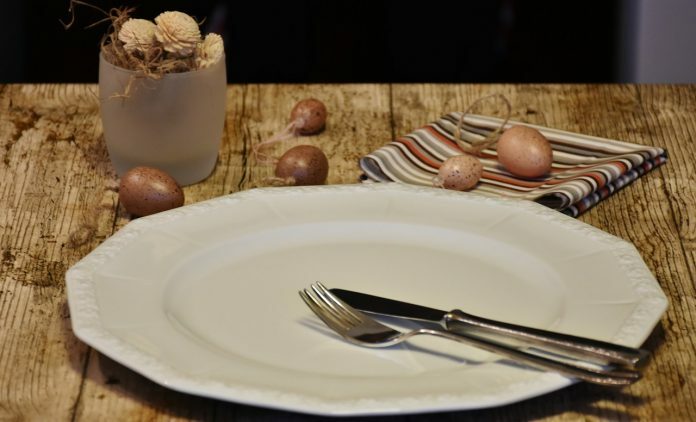 I would not recommend fasting for anyone other than a person fasting from the previous night prior to blood, medical test or surgery the next day. I would definitely not recommend fasting for someone who is insulin resistant. Here’s why. 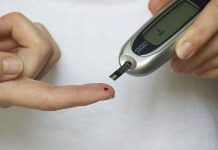 For a person with insulin resistance, your pancreas may make enough insulin (a hormone) but the insulin you produce has a hard time getting the glucose (sugar) in your blood into cells thereby reducing glucose in your blood and providing fuel for your body. In response to higher blood sugar, your body may make even more insulin in order to move glucose from your blood into cells. It is not unusual for someone with insulin resistance to having high blood sugar and high blood levels of insulin. When you eat all the calories you need over 6 to 8 hours instead of 16 waking hours, you are increasing the carbohydrate load by 50% at meals into half the waking time (6 – 8 hours). Let’s say you eat 75 grams of carbohydrate-containing foods (grains and starches, dairy, and fruit) in each of 2 meals within that 8-hour time frame. (150 grams of carbohydrate per day would be less than typical for diabetic nutrition therapy.) Instead, if you were to eat 50 grams of carbohydrate-containing foods in 3 meals over 16 hours, your blood sugar would not go as high taxing the insulin you produce with getting the glucose into liver and muscle cells. Your blood sugar could go twice as high eating 75 grams of carbohydrate which would be equal to 5 carbohydrate servings per meal rather than the usually recommended 2 – 3 carbohydrate servings per meal. People with diabetes count carbohydrate servings rather than exchanges of all food groups which was the previous nutrition therapy used. Insulin Resistance means the insulin your body produces is not easy getting the glucose in your blood into your cells for fuel or storage. 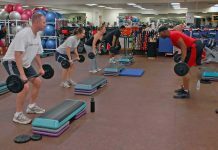 Normally your liver and muscles store glycogen (the storage form of glucose) for either fuel to run your body (liver glycogen) or to fuel your activities (muscle glycogen). When you have excess blood glucose, your body stores it as lipids in fat cells which have a practically infinite ability to store fuel for a famine. Still, that is a struggle with insulin resistance. Another factor is the timing of meals. Normally a person without diabetes blood glucose doubles in the first hour after eating. Then carbohydrates take about 2 hours to digest, protein 4 hours and fats 6 hours. So eating every 4 hours would not give your body a chance to finish digesting fats and metabolize the blood glucose provided by carbohydrates you ate into fuel for your body cells. Insulin resistance can be due to the amount of body fat you have especially if you are overweight. 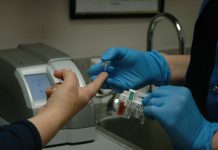 You may also have a genetic risk of developing diabetes if your parents or siblings have type II diabetes which is usually controlled with food and pills. There are other risk factors for prediabetes and I would encourage you to talk to your doctor about how to lower your risk of diabetes. I would highly recommend you ask your doctor for a referral to a dietitian who can explain carbohydrate counting in detail. What you can do now to reduce your risk of developing prediabetes that may turn into diabetes, is aiming for a healthy weight for your height and exercise. Previous articleMy twin girls are always sick. Are there foods to boost their immune systems? Next articleWhat are considered healthy fats and what are the health benefits?